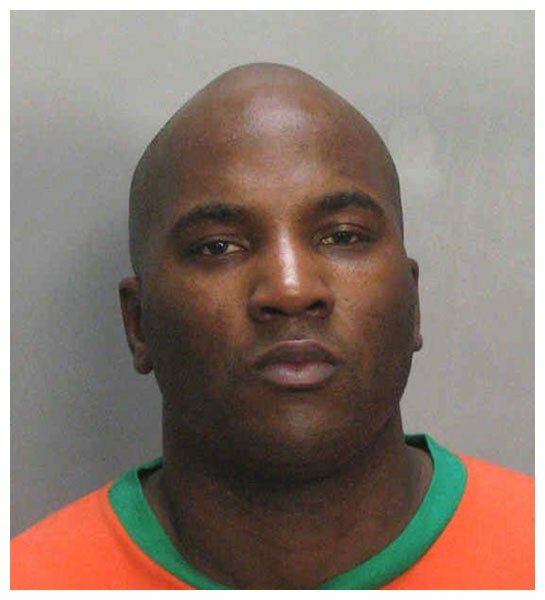 Rapper Jay Jenkins (aka Young Jeezy) was arrested by Florida cops in March 2006 and charged with two counts of carrying a concealed firearm without a permit. According to Miami Beach police, Jeezy, 28, was busted after an alleged shootout in South Beach involving members of his entourage. After officers stopped him and his crew a short time later, they found Jeezy with a semi-automatic gun under his seat and another near the armrest. He was then transported to the Miami-Dade County jail where he posed for the above mug shot. Submitted by GeorgeDubyaBush on Mon, 2011-05-09 22:39. His original charge? Possession of a single bullet. Charges were dropped after police realized that was his head.